This new model is a total modernization and re-design compared with Sangean’s earlier, non-DSP units such as the DT-400W (which I’ve used frequently for the past several years), and it is also a bit smaller. Gone is the mechanical volume control of the 400…the volume is now handled by Up/Down buttons on the left side. As is usual with most modern radios there are some dual function controls but unlike some radios there are only a few of these dual functions and they are well-labelled and easy to learn and become comfortable with. Tuning is accomplished by a unique thumbwheel/jog dial which, although it resembles a traditional thumb wheel actually toggles Up or Down for manual tuning, memory setting and tuning, while depressing it is used to enter “Set Mode” for clock setting, stereo/mono setting, wide/narrow bandwidth selection and DBB (Dynamic Bass Boost) on/off. FM Reception: I first set out to compare the DT-160 with the well-known DT-400W and am happy to report that, as with many other DSP-equipped radios, the FM reception is simply superb…super sensitive and selective. All such portables use the earphone cable as an FM antenna and this makes comparisons a bit tricky because as you and your radio move about reception can vary. But the DSP FM performance is so sensitive and selective with the DT-160 that your FM stations will generally be received more clearly than with most other such units and will be extremely stable. I compared the DT-160 with my DT-400W and found the DT-160 dramatically outperforms the 400 on FM. I first did selectivity tests. As the FM band becomes more and more crowded with many newly authorized FM translators going on the air not to mention the seeming proliferation of FM pirates in many areas, selectivity is becoming more important than ever before…in some cases more important than sensitivity which used to be the single most important aspect of an FM tuner’s performance. You still need great sensitivity but if you don’t have super selectivity you will miss half the stations which can be heard on other receivers. Case in point: In my location I can receive signals on, for example, 107.9, 107.7, 107.5 and 107.3…four channels immediately adjacent to the others. On the older DT-400W I could only hear 107.9 and 107.3…both relatively strong, but they spilled over and obliterated the weaker signals on 107.7 and 107.5 which I could receive loud and clear on the DT-160. It was a night and day difference. And even on the stronger 107.3 station which I listen to as I do my weekend yardwork, listening to the DT-400W there are places where I get break-through of the signal on 107.5. as I walk around my back yard…there are places where that station overrides the station I am listening to. This did not happen with the DT-160…it locked onto the channel I wanted and never lost it…it was terrific! I must admit I didn’t see any improvement using the Narrow setting on FM. I never needed it because the basic selectivity is so excellent, although it is possible that in some situations it may help…I just couldn’t verify that here. Instead, some weaker signals just seemed to get weaker when I switched in the narrow mode. No biggie for me…I just leave it in normal on FM and it is superb. The only other such portable which seemed to be similarly selective on FM was the C. Crane CC Pocket. 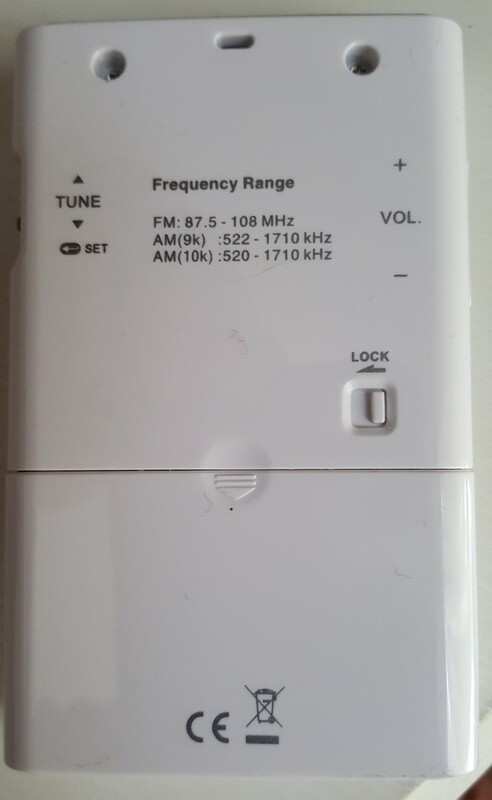 FM Sensitivity was also excellent…as good as any radio of this type I have tried. I compared the DT-160 with several other portables and none beat it for outright FM sensitivity. The ability to switch to mono will be an advantage when received signals are weaker. AM Reception: On AM the DT-160 also performed as well as any such unit I have tried. It was at least the equal of the older DT-400W and a bit better than the CC Pocket and had good audio. Here the Narrow Bandwidth mode sometimes helped not only with improved selectivity on crowded signals but even with some weaker signals where selectivity wasn’t an issue…the narrow mode just helped those signals sound a little stronger. In addition to reducing the high frequency response and noise which is an inherent aspect of narrowing AM bandwidth, it actually helped improve the received signal’s apparent strength, evidently allowing the DSP chip to amplify the weaker signals without some of the noise which surround them. It is a worthwhile enhancement for AM lovers. DBB: The Dynamic Bass Boost feature is also helpful with many earbuds which can benefit from a bit of bass boost, including the ones supplied with the DT-160. I also tried it with some other earbuds and earphones ranging from cheapies to sophisticated models and found many which sounded better with DBB… some others sounded too bassy so I used them with the DBB off. I think it’s a great feature. Ergonomics and Feel: These days with all functions digitized one of the major differences among electronic items is their ease of use…how intuitive their control arrangement is. Some such devices can be downright hostile while others seem friendlier and make it relatively easy to get the feel of the equipment after reading the manual* followed by a short period of use. (*I can’t tell you how many emails I receive from readers asking me how to set memories or perform some other functions of various radios and I almost always find the answers right in the Owner’s Manuals). I’m happy to report that the DT-160 is very user friendly. You do have to read the manual. I initially sat down with the radio and the manual to set the clock and memories and to try the various features such as DBB, Stereo/Mono and Bandwidth Narrowing and after doing this for about 10 minutes I was ready to fly solo…sans owner’s manual. Most modern electronics require a period of familiarization, but the DT-160 was as easy as any I can recall. I did have to learn the feel of the jog/shuttle dial while setting the clock and memories…it’s all in the timing of the button presses, and also the Power/Band Button…a long press turns power on and off…a short press changes bands, but after a day or two of use I found the radio a joy to live with. 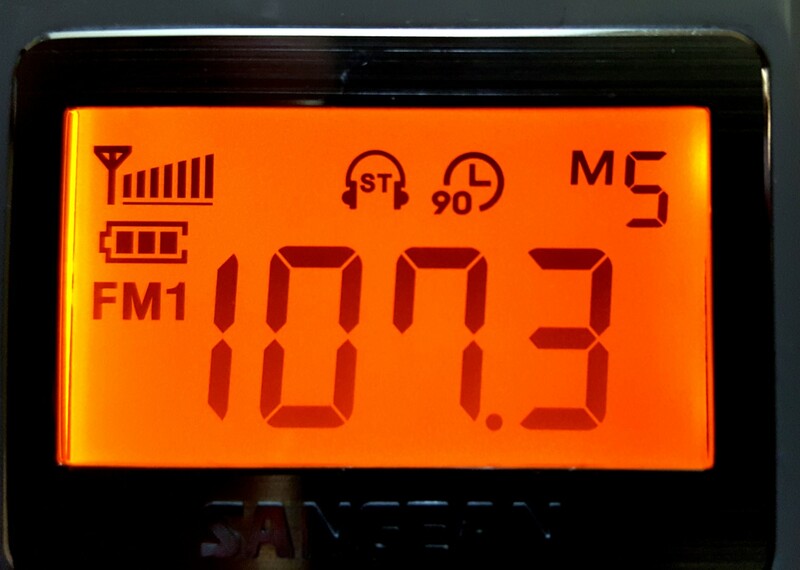 Conclusion: The Sangean DT-160 AM/FM pocket radio offers state-of-the-art AM/FM reception in this class of equipment realizing the best of what modern DSP has to offer. 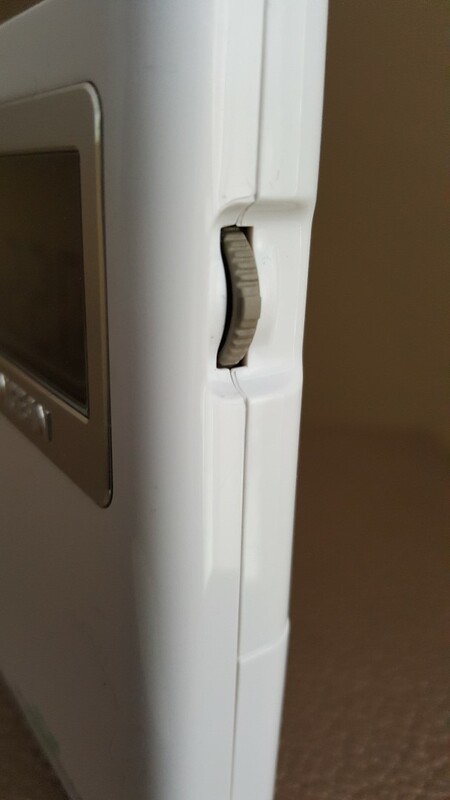 It is a pleasure to use, has a big bright display and it feels solid and well-made. 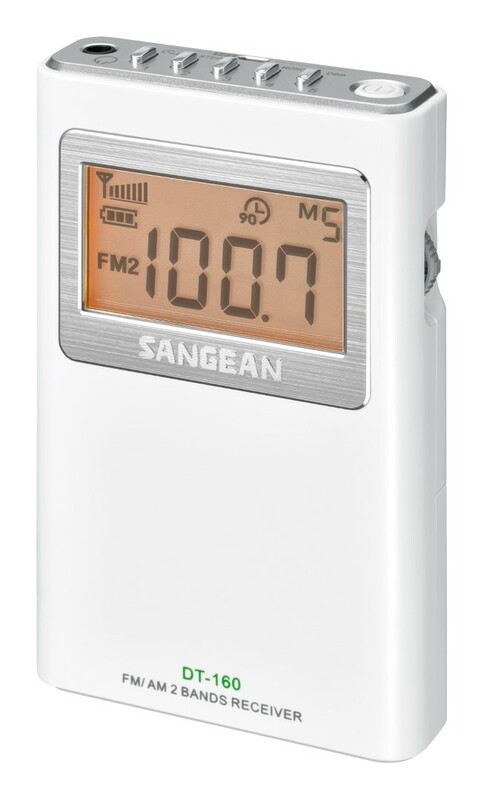 If my experience with other Sangean radios is any indication it should give many years of dependable service and and its current street price around $45 it a real bargain. Recommended!